• Zona II Hotel offers a special rate $85 (15 percent discount) on hotel suites for CRT VIP members. To receive the discount, please make a reservation with the hotel directly on their website by phone (US) 305-848-5085 and request the CRT VIP Rate. 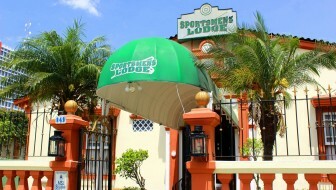 • Little Havana Sportsbar and Hotel is pleased to announce a 10 percent discount on hotel suites for CRT VIP members. To receive the discount, please make a reservation with the hotel by phone (US) 800-247-7052 or email [email protected] and request the CRT VIP Rate. * 10% off hotel room rates at Cocal Hotel and Casino in Jacó Beach! * Special rates at Morgan’s Cove Resort & Casino in Jacó Beach! * CRT Member Discounts now offered at Cadillac Rock Hotel in Jacó Beach! 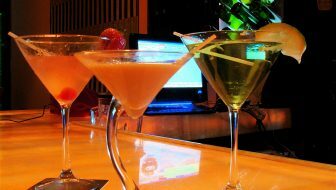 • Hotel Vesuvio offers VIP's Discounted room rates www.hotelvesuvio.com! • 9°N Private Cigar Bar & Lounge CRT VIP's 25% of their first cigar purchase and a Free Specialty Drink! • Costa del Sol restaurant & Pizzeria: 10% off your entire check Ask for the Don Gordo Special! 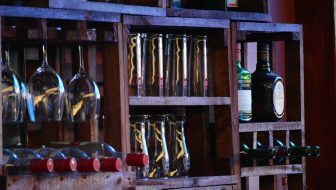 • Bar Poas in Barrio Amon extends a warm welcome to all CRT VIP’s by offering 10% off their entire check (Excluding Happy Hour drink specials) when presenting a valid VIP card! www.barpoas.com! • www.puravidatransport.com: special rate for private transportation from the San Jose airport to Jaco Beach ($100). All other private transfers in the Toyota Prado Land Cruiser are 10% off. • Fishing Trips of a lifetime: www.hasslefreefishing.com bass to billfish get 10% off your entire trip! • www.HookedOnCostaRica.com offers various discounts on fishing and tours! • Safe Car & Driver Transport, Tours & Body Guard Services offers discounted rates! • To Support your board, to keep it free of unwanted pop-ups along with the best moderated discussion forum anywhere. • An Avatar of a small flag of Costa Rica showing the rest of the online community you are a proud VIP member! • Lifetime members receive a special Avatar showing the online community they are proud lifetime VIP members! • To keep your site growing with additional discounts being added & offered on a regular basis!